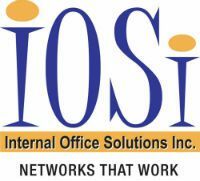 IOSi has been entrusted by the legal community for more than a decade, providing IT services to law firms and lawyers throughout North America. With competencies in many industry-standard legal applications and software, look no further than IOSi for your business needs. Our partnerships software vendors throughout the industry allow us to provide prompt and relevant service, without the need to learn the nuances of your system. With various levels of federal security clearance, you can count on IOSi to hand your sensitive data safely and responsibly.